The latest in the GTA series was always likely to be a massive smash, given the controversy and critical acclaim of its predecessors, but the launch week has seen a phenomenal 6 million games sold. 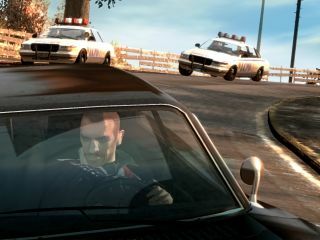 "Grand Theft Auto IV's first-week performance represents the largest launch in the history of interactive entertainment, and we believe these retail sales levels surpass any movie or music launch to date," Strauss Zelnick, chairman of publishers Take-Two, said in a statement. The game is also likely to have boosted console sales across the globe as part of the halo effect that major games have on the market. Grand Theft Auto’s worldwide first week total was in excess of $500 million – that’s £255 million – and it should help Take Two boost the price of its company as it attempts to increase a $2 billion takeover offer from EA.